For United States navy captain, see Lloyd Stowell Shapley. Lloyd Stowell Shapley (June 2, 1923 – March 12, 2016) was an American mathematician and Nobel Prize-winning economist. He contributed to the fields of mathematical economics and especially game theory. Since the work of von Neumann and Morgenstern in 1940s, Shapley has been regarded by many experts as the very personification of game theory. With Alvin E. Roth, Shapley won the 2012 Nobel Memorial Prize in Economic Sciences "for the theory of stable allocations and the practice of market design." Lloyd Shapley was born on June 2, 1923, in Cambridge, Massachusetts, one of the sons of Martha (Betz) and the distinguished astronomer Harlow Shapley, both from Missouri. He attended Phillips Exeter Academy and was a student at Harvard when he was drafted in 1943. He served in the United States Army Air Corps in Chengdu, China and received the Bronze Star decoration for breaking the Soviet weather code. After the war, Shapley returned to Harvard and graduated with an A.B. in mathematics in 1948. After working for one year at the RAND Corporation, he went to Princeton University where he received a Ph.D. in 1953. His thesis and post-doctoral work introduced the Shapley value and the core solution in game theory. Shapley defined game theory as "a mathematical study of conflict and cooperation." After graduating, he remained at Princeton for a short time before going back to the RAND corporation from 1954 to 1981. In 1950, while a graduate student, Shapley invented the board game So Long Sucker, along with Mel Hausner, John Forbes Nash, and Martin Shubik. Israeli economist Robert Aumann said Shapley was "the greatest game theorist of all time." From 1981 until his death, Shapley was a professor at University of California, Los Angeles (UCLA), serving at the time of his death as a professor emeritus there, affiliated with departments of Mathematics and Economics. He died on March 12, 2016, in Tucson, Arizona, after suffering from a broken hip, at the age of 92. Shapley was an expert Kriegspiel player, and an avid baseball fan. Along with the Shapley value, stochastic games, the Bondareva–Shapley theorem (which implies that convex games have non-empty cores), the Shapley–Shubik power index (for weighted or block voting power), the Gale–Shapley algorithm (for the stable marriage problem), the concept of a potential game (with Dov Monderer), the Aumann–Shapley pricing, the Harsanyi–Shapley solution, the Snow–Shapley theorem for matrix games, and the Shapley–Folkman lemma & theorem bear his name. According to The Economist, Shapley "may have thought of himself as a mathematician, but he cannot avoid being remembered for his huge contributions to economics". The American Economic Association noted that Shapley was "one of the giants of game theory and economic theory". Besides, his early work with R. N. Snow and Samuel Karlin on matrix games was so complete that little has been added since. He has been instrumental in the development of utility theory, and it was he who laid much of the groundwork for the solution of the problem of the existence of Von Neumann–Morgenstern stable sets. His work with M. Maschler and B. Peleg on the kernel and the nucleolus, and his work with Robert Aumann on non-atomic games and on long-term competition have all appeared in economic theory. Shapley argued with his sons about whether he should accept the Nobel Prize at all. He opined that his father, the astronomer Harlow Shapley, deserved it more. His sons persuaded him to accept it and accompanied him to Stockholm. A Value for n-person Games , In Contributions to the Theory of Games volume II, H. W. Kuhn and A. W. Tucker (eds.). Stochastic Games , Proceedings of National Academy of Science Vol. 39, pp. 1095–1100. A Method for Evaluating the Distribution of Power in a Committee System  (with Martin Shubik), American Political Science Review Vol. 48, pp. 787–792. College Admissions and the Stability of Marriage  (with David Gale), The American Mathematical Monthly Vol. 69, pp. 9–15. Simple Games : An Outline of the Descriptive Theory , Behavioral Science Vol. 7, pp. 59–66. On Balanced Sets and Cores , Naval Research Logistics Quarterly Vol. 14, pp. 453–460. On Market Games  (with Martin Shubik), Journal of Economic Theory Vol. 1, pp. 9–25. Utility Comparison and the Theory of Games , La Decision, pp. 251–263. Cores of Convex Games  International Journal of Game Theory Vol. 1, pp. 11–26. The Assignment Game I: The Core  (with Martin Shubik), International Journal of Game Theory Vol. 1, pp. 111–130. Values of Non-Atomic Games  (with Robert Aumann), Princeton University Press. Mathematical Properties of the Banzhaf Power Index  (with Pradeep Dubey), Mathematics of Operations Research Vol. 4, pp. 99–132. Long-Term Competition – A Game-Theoretic Analysis  (with Robert Aumann), in Essays in Game Theory: In Honor of Michael Maschler, Nimrod Megiddo (ed. ), Springer-Verlag. Potential Games  (with Dov Monderer), Games and Economic Behavior Vol. 14, pp. 124–143. On Authority Distributions in Organizations  (with Xingwei Hu), Games and Economic Behavior Vol. 45, pp. 132–152, 153–170. Multiperson Utility  (with Manel Baucells). Games and Economic Behavior Vol. 62, pp. 329–347. 1 2 "Lloyd Shapley, a Nobel laureate in economics, has died". The Economist. ISSN 0013-0613. Retrieved March 13, 2016. ↑ Roth, Al (March 12, 2016). "Lloyd S. Shapley 1923– 2016". Market Design. Retrieved March 13, 2016. ↑ Roth, A.E., Introduction to the Shapley Value, in "The Shapley Value: Essays in Honor of Lloys S. Shapley", Cambridge University Press, 1988. ↑ "MARTHA BETZ SHAPLEY". The New York Times. January 27, 1981. 1 2 "Lloyd S. Shapley – Interview". Nobel Media AB. Retrieved March 13, 2016. 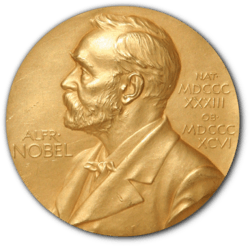 1 2 "Princeton alumnus Shapley wins Nobel Prize". Princeton University. October 15, 2012. Retrieved March 13, 2016. ↑ Hausner, M., Nash, J. F., Shapley, L. S. & Shubik, M., (1964), "So Long Sucker, A Four-Person Game", Game Theory and Related Approaches to Social Behavior, John Wiley & Sons, Inc., New York. 1 2 Hagerty, James, Lloyd Shapley: 1923-2016, Wall Street Journal, March 19–20, 2016, p. A7. 1 2 "Lloyd Shapley" (PDF). American Economic Association. Retrieved March 13, 2016. 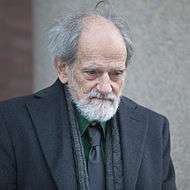 ↑ "Matchmaker in heaven – Lloyd Shapley, a Nobel laureate in economics, has died". The Economist. March 13, 2016. Retrieved March 13, 2016. ↑ Diertele, David A. Economic Thinkers: A Biographical Encyclopedia. p. 385. Retrieved 2016-03-13. 1 2 3 4 5 6 "Lloyd Stowell Shapley – Vita". UCLA. Retrieved March 13, 2016. ↑ "INFORMS – Fellows Class of 2002". Institute for Operations Research and the Management Sciences. Retrieved March 13, 2016. ↑ "Distinguished Fellows". American Economic Association. Retrieved March 13, 2016. ↑ List of Fellows of the American Mathematical Society, retrieved July 18, 2013. ↑ "Market Design". The Golden Goose Award. Retrieved May 27, 2015. Citation of von Neumann Theory Prize on L.S.Shapley's work: "Lloyd Shapley has dominated game theory for the thirty-seven years since von Neumann and Morgenstern published their path-breaking book, The Theory of Games and Economic Behavior." Albert Tucker's comment on L.S.Shapley's work. 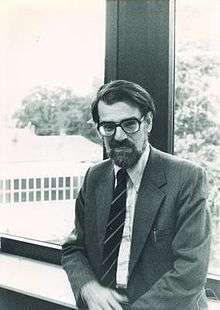 In 1995, Albert W. Tucker mentioned in his passing that Shapley was second only to Von Neumann as the most important researcher in theory of games so far. Philip Wolfe Interview by Irv Lustig, May 4, 2001. Video by Irv Lustig, Short Hills, NJ. Robert Aumann's Nobel lecture, also see here .